My parents’ apple trees were very bountiful this year. And though we didn’t make it there to help pick apples (those darn Saturday soccer games! ), they did send a large bag of apples for us when one of their friends came to town. 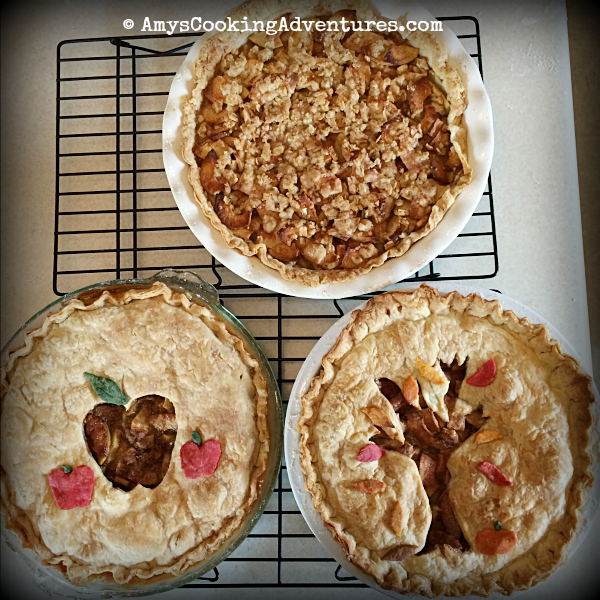 We were having friends over, so I decided to whip up a delicious Apple Pie Trio. I started out with a traditional apple pie. Then I followed it up with another traditional, only with a crumble topping, instead of a double crust. 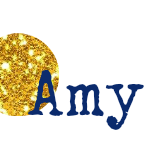 For the last one, I wanted to try something new, well newish. I made up a yummy caramely apple pie (this one is easier than last year’s version, because it uses premade caramel sauce. Easy = good). I love my little apple pie trio! They’re so quintessentially fall and harvest and Thanksgiving. Wouldn’t they look beautiful on the Thanksgiving table? 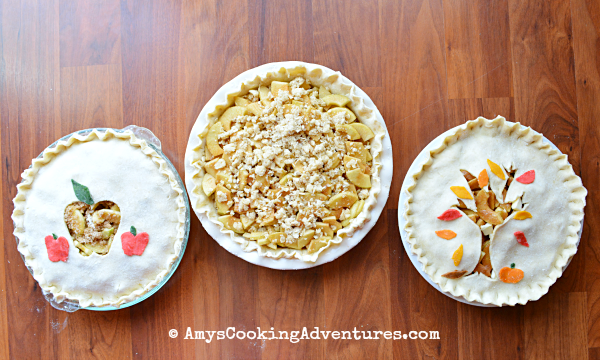 Add a layer of apple slices to cover the bottom crust. Whisk together the sugar, butter cinnamon, and flour. Sprinkle the apples with a about a third of the sugar mixture and a third of the caramel sauce. Add another layer of apples, followed by more sugar and caramel. Continue alternating apples and sugar until the apples are gone, ending with a layer of sugar and caramel. Next, roll out the other half of the dough into a large circle. 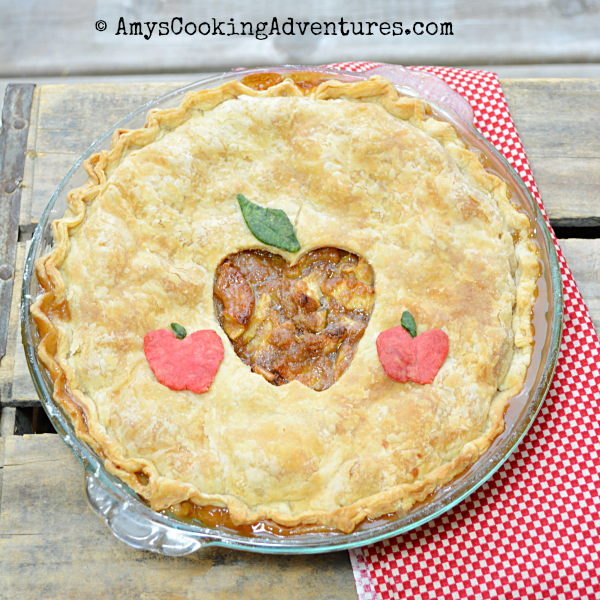 Carve an apple shape into the center, if desired, then place on top of the pie. Remove any excess dough. Fold over the crust and pinch edges tightly. Crimp the edge with your fingers, if desired. Divide the excess dough pieces and tint with gel food coloring. Cut the dough into apple shapes. 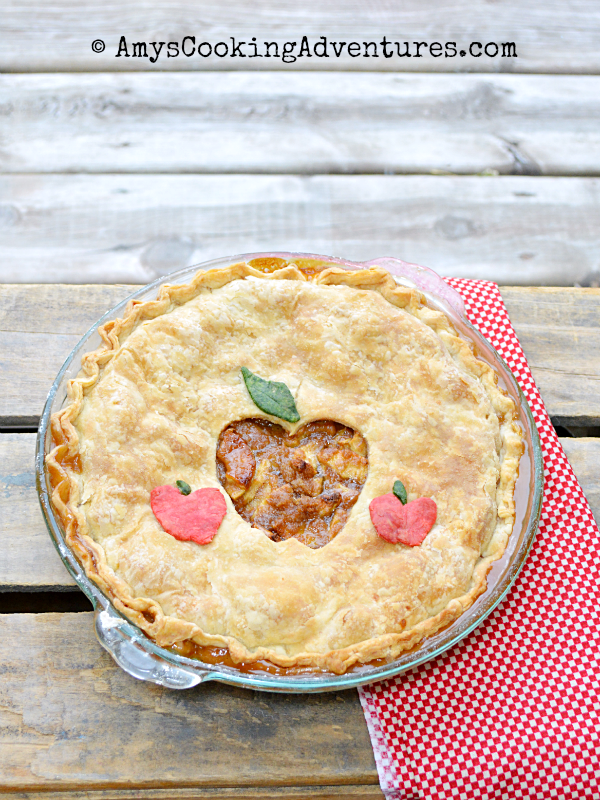 Use a new paintbrush to brush milk onto the backs of the apple shapes and place them on the pie.